Plano is anything by plain. It’s a bubbly, town just north of Dallas that is growing to be a destination for North Texas staycations, business folk, and Texas adventurers. 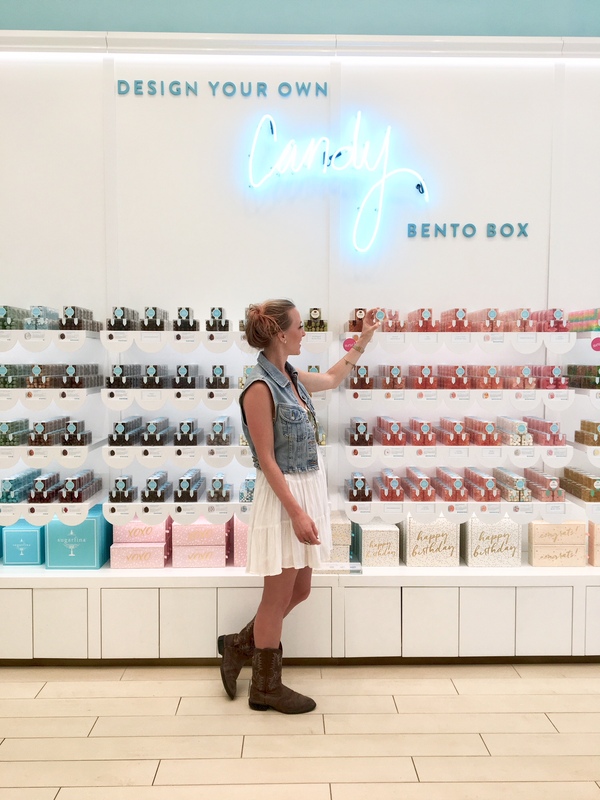 In addition to being the headquarters to many household names like Liberty Mutual, Chase, Toyota, Frito-Lay, and JC Penny, Plano has a thriving food, culture and fashion scene. Disclaimer: This post was sponsored by Visit Plano, but all experiences and opinions are my own! Start off your day with coffee at Texas Teahouse & Market inside the Renaissance Hotel or brunch at Sixty Vines. 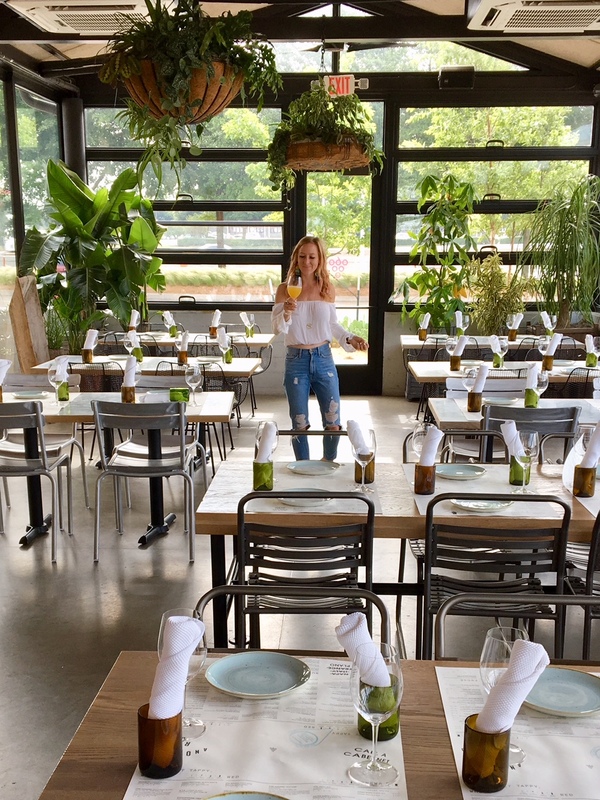 Dining at Sixty Vines is like dining in a greenhouse. A greenhouse that happens to have 40 wines on tap. Their mimosa bar is magical, as is the baked cauliflower appetizer. 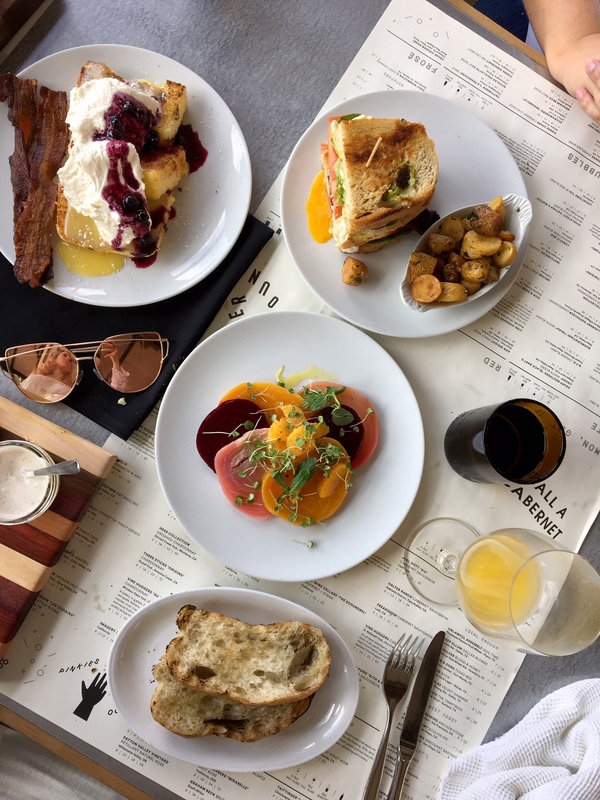 The sister restaurant to Whiskey Cake Kitchen & Bar sets the tone for the Plano food scene–which brings Dallas bloggers to this side of town on the reg. 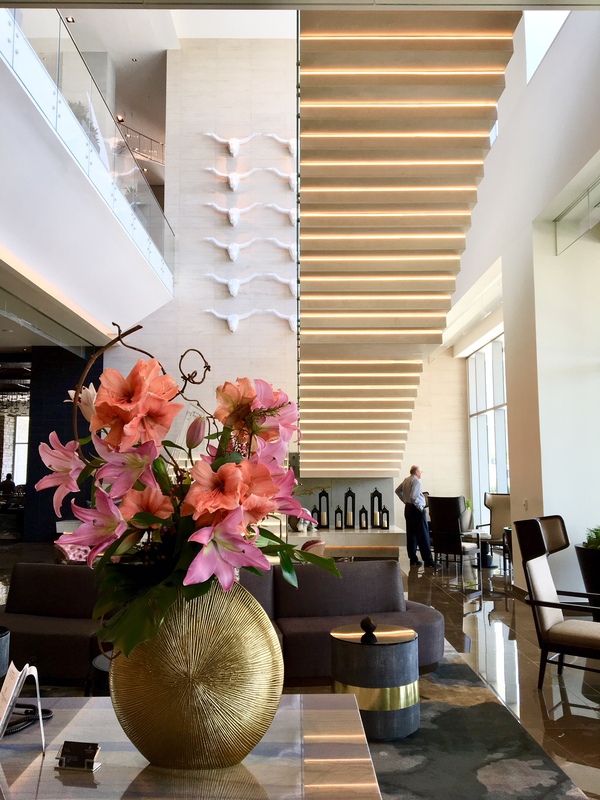 When I went I stayed at the Renaissance Dallas at Plano Legacy West, a mouthful, I know, but an incredible experience! The hotel is owned and managed by Sam Moon. 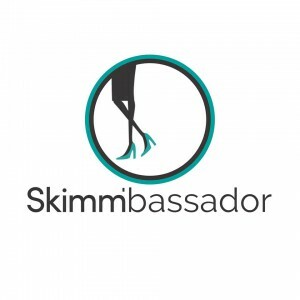 You might recognize the name from the popular accessories store that’s all over. We even have a Houston location in Bunker Hill. The hotel is a beautiful mix of West meets East. Sam Moon, of Koran decent, has seamlessly incorporated elements from Asia with those of Texas. This beautiful fusion of cultures is reflected in the design of the art that has a distinctly oriental flare mixed with Texas materials. Inside Whiskey Moon, the hotel lobby bar, you’ll find reclaimed wood from barns in North Texas lined up next to leather belts pressed into wall paper. The bar opens up into a lounge with five glowing orbs that represent the five members of the Moon family. Roku pottery decorated the walls of the OMA restaurant. And tracks from a Toyota Tundra (who’s parent company just moved to Plano) are artistically represented in hanging metal cutouts. If you didn’t pick up on the theme initially, walking into the bedroom the bed is topped with a “Samuari” and “Cowboy” embroidered pillows. Life is in the details and the Renaissance took it upon themselves to re-imagine every design aspect to create a truly unique experience. Plano has many bustling centers of activity for shopping and restaurants. We lunched at the Boardwalk at Granite Park, which is a new complex that’s opening up new restaurants each month. 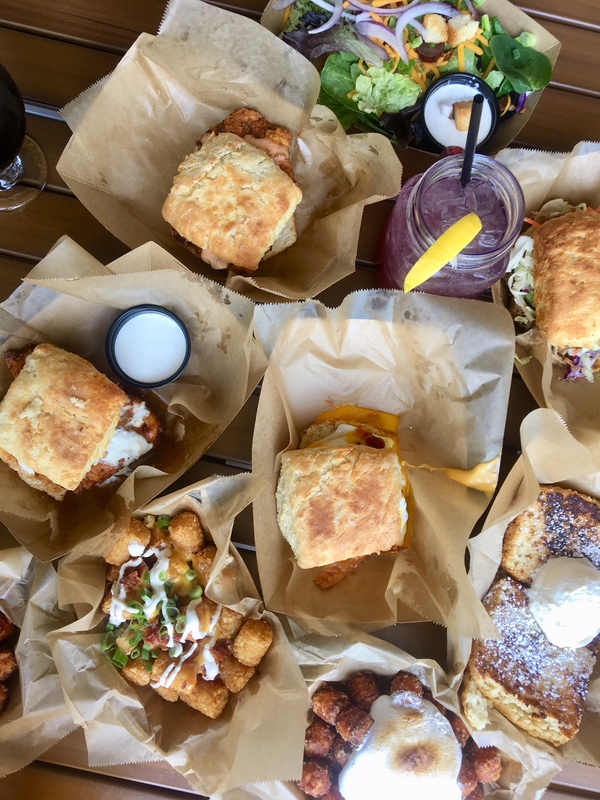 We lunched at The Biscuit Bar, which as you might have guessed specializes in biscuit sandwiches as well as tater tots. The table was most blown away by the Holiday Tots which were sweet potato tots topped with marshmallow. Next, we took a stroll through some of the many shopping districts in town. 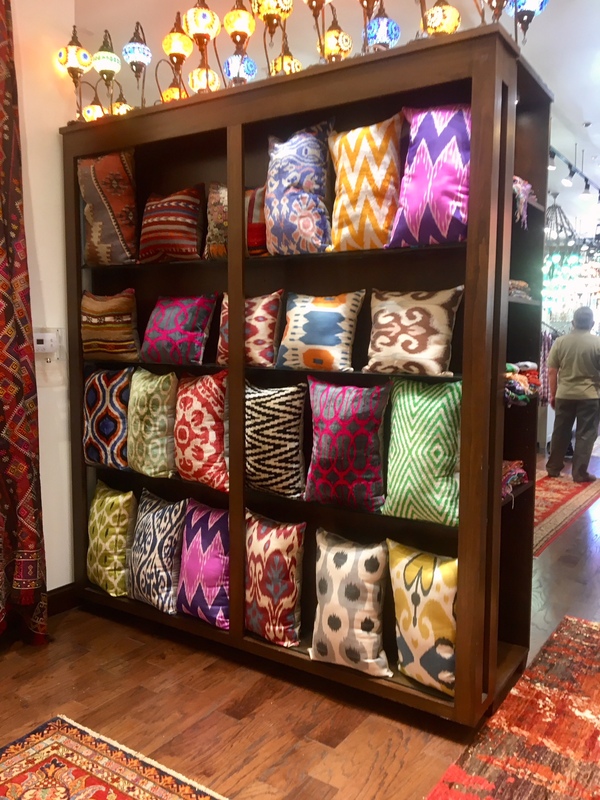 We started at the Shops at Legacy, which has a few household names like Urban Outfitters and lululemon, but also unique finds like Another Time & Place which took me back to the Moroccan medinas and Firefly Trends that was filled with cute summer finds. A few blocks away across the tollway is Legacy West. To me it was a mix between CITYCENTRE and River Oaks District in Houston with favorites like Taverna, Toulouse, and North Italia. If you’re a dog lover, you’ll be excited to learn that Plano is one of the most dog friendly cities in America. Over 100 restaurants have patios and welcome the pups. If you’re strolling through Legacy West, be sure to pop into the Visit Plano office and grab a treat and a bandana for your dog! They love visitors. Inside Legacy West, you’ll find novelty stores like Starbucks Reserve, which is a bougier version of your typical Starbucks with Cold Brew and Nitro Coffee on tap, as well as Barnes & Noble Kitchen that serves wine and the flagship Fogo de Chao. The fountains in the middle were designed by the same people who did the Bellagio, so expect excellent light and water shows throughout the day. Also, loved the candy at Sugarfina! You can find a smaller selection of them in the Houston Galleria. One thing I missed was getting to the third floor of Haywire, a Marfa inspired restaurant, that has an airstream on its third floor. Next time Plano! For those (like me!) who need a break from the shopping, the Renaissance pool is the perfect spot for some R&R. Rooftop views, poolside cocktails and delightful sunshine throughout the afternoon make it a music. The crown jewel of Legacy West is the Legacy Food Hall. It’s like Houston’s Conservatory, but on crack. It’s three levels of food stalls, complete with its own brewery, escalator and music venue called the Box Garden. The food is in part coordinated by the ever-positive and bubbly Courtney Garza. You’ll see her running around in a dress, heels and vibrant blue hair. She’s also vegan and took it upon herself to ensure that there’s delicious food options for all sorts of diets. For dinner choose from anything from Japanese bao, Mediterranean shawarma, and New England lobster chowder to crepes and gourmet donuts. While I was there, it was the Grand Opening of the Box Garden which is an open air concert venue just outside the Legacy Food Hall. It’s surrounded by shipping containers turned into food stands and bars. The cocktail scene is definitely on point at the Box Garden and there’s literally a whole rainbow of drinks to choose from! For opening weekend, I saw two folk bands—Tom Kat and Sarah Jaffe. Expect live music and fun programming like yoga throughout the year. Check their schedule to see what’s going on this weekend! Although I didn’t go, I hear that Plano has a decent night life. People enjoy going out downtown, a neighborhood I didn’t get to, but is filled with live music venues. Downtown district also has collection of boutiques and restaurants that can be described as “precious and urban.” In the Shops at Legacy, night clubs such as Sambuca 360, Brixton, and Blue Martini attract weekend crowds. Have you ever been to Plano? What are some of your favorite spots to visit? 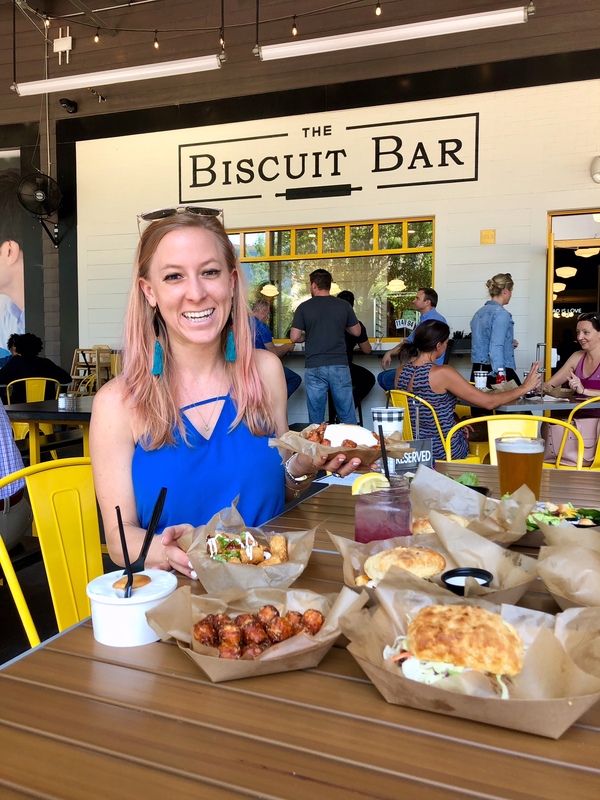 Tags: Biscuit Bar, Boardwalk at Granite Park, Box Garden, Dallas, Legacy Food Hall, Legacy West, Plano, Renaissance, Shops at Legacy, Sixty Vines, Starbucks Reserve, Sugarfina. Bookmark the permalink. I think you mean “across the Tollway” not “across-35”. Lovely photos and definitely sounds like a trip you enjoyed! Plano is definitely a good place to consider for a visit, so many great places to have insta-friendly photos. By the way, what camera do you use for your photos? Love the quality! Looks like an amazing restaurant! Next time when I’ll come to visit Plano, I’ll definitely plan to visit this place.